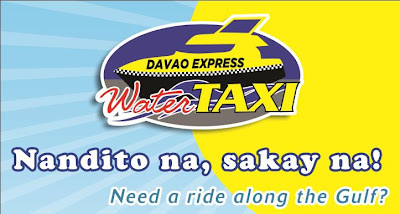 DAVAO WATER TAXI is another first in the Philippines! 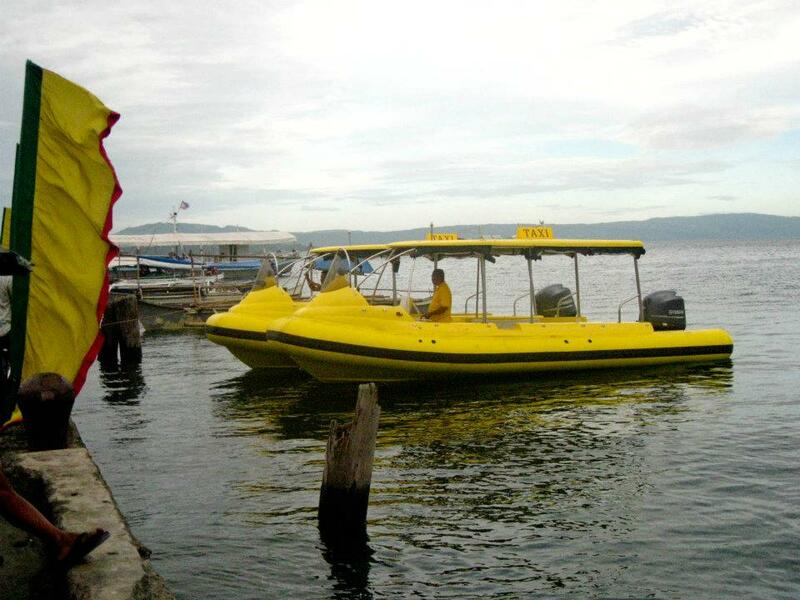 Mobility between mainland Davao City and the Island Garden City of Samal will be faster and more convenient to tourists and locals alike. Just like any other land-based taxis, the water taxi also has a meter. 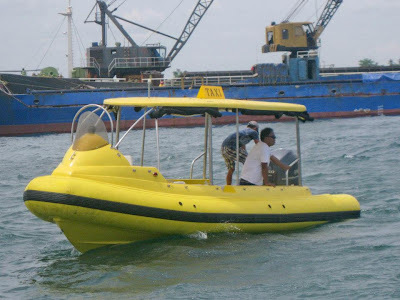 It can carry up to 14 persons including the boat captain. Fare is Php700 for four passengers for the first 5 kilometers and additional Php50 per passenger for the next succeeding kilometer. It is very safe as all units are complete with safety equipment such as life vests. It is also accredited by the Maritime Industry Authority or MARINA. 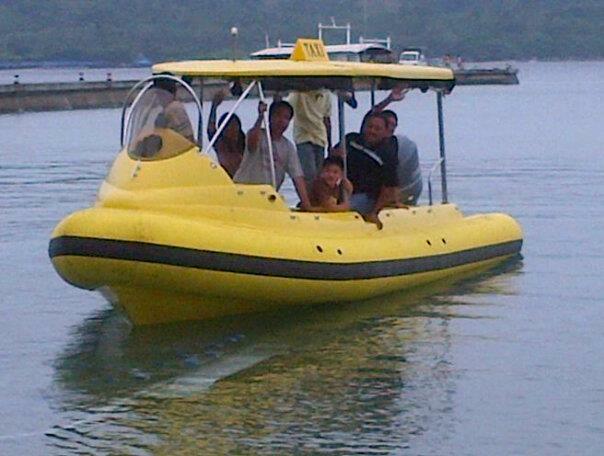 The water taxis are based at Sta. 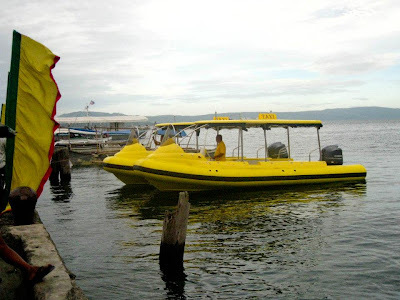 Ana Wharf in Davao City with business hours from 6:00 AM to 7:00 PM and can also be chartered for boat transfers and island group tours. Images are courtesy of skyscrapercity.com. +8 GMT. Philippine standard time is eight hours ahead of Greenwich Meantime. EDT +13 hours. Visitors with valid passports may stay up to 21 days without a visa. Hong Kong and Taiwan passport holders, however, require a special permit, which may be obtained from Philippine embassies and consulates. The Philippine currency is Peso, divided into 100 centavos. Next to the peso, the U.S. dollar enjoys wide acceptance, Australian and New Zealand currencies are likewise accepted in Currency Exchange Counters in Major Establishments. The currency code is PHP. It stands for Philippine Peso. Bank notes come in P10, P20, P50, P100, P200, P500, and P1000 denominations, while coins are in 5c, 10c, 25c, P1, P5, and P10. Visitors are advised to bring sufficient amount of change in small bills or coins. Major international credit cards are widely accepted in hotels, resort, restaurants, shopping centers, among others. Banks are usually open between 10 AM to 3 PM on weekdays, and 9:30 AM to 11:30 AM on Saturdays. Government and private offices are open from 8 AM to 5 PM on weekdays. While some offices may open on Saturdays, weekends, however, are generally considered day off. Most shops open at 10:30 AM, closing at around 7 PM. Lunch hour is usually from noon to 2 PM. Bellhops expect a tip, as do waiters, taxi drivers, hairdressers, beauticians, and porters. Most hotels and restaurants add 10% service charge on top of the government tax. Tipping 15% of the bill is considered appropriate if no service charge is included. P5 to P10 for bellboys, porters, and like. 10% service charge is usually added to the bill. If not, 10% of the bill is adequate for the waiters. Most areas are supplied with 220 volts, 60 cycles, Over 600 mw. A plug with 2 flat parallel prongs is the norm. 220/250 volts, 50 cycles AC, 110V adapters are available upon request. Davao has a 220-volt electrical system. Some hotels provide 110-volt electrical system. Visitors may inquire from hotel front office about the availability of transformers. Davao City is considered one of the world's largest city in terms of land area which is 2,443.6 square kilometers. It has an estimated population of 1,400,000 accounting to 19% of the entire Southern Mindanao region. It is the second biggest urban market within the East ASEAN Growth Polygon. Lightweight summer clothing is advised. Jackets may be used for slightly more formal occasions. A light suit would be appropriate for business. Clothes for men and women is much like the West. Wear naturalfibre, lightweight clothing. You'll feel more comfortable. Bring shorts, hat sunglasses, bathing suit, insect repellent, flashlight, sun block cream, tough shoes for walking, and rubber slippers for the beach. If you are in Bali, Manado Airport is the closest. If you are in Singapore and elsewhere, Silkair of Singapore Airlines flies daily between Singapore and Davao City. Qantas Serves Sydney-Manila and Melbourne- Sydney- Manila routes. Qantas, British Airways, and Singapore Airlines ticketing office can be found at the Apo View Hotel in Downtown, Davao City, and online. Philippine Airlines (PAL) ticketing is also available online. Way to go, DAVAO!!! I could hardly wait for my white German Shepherd to take along with us for an island hopping. Although cabs are taken as aged now, it's a traditional strategy and doesn't carry real actually. Brilliant idea! I wanna try that when we have a business trip in Davao! 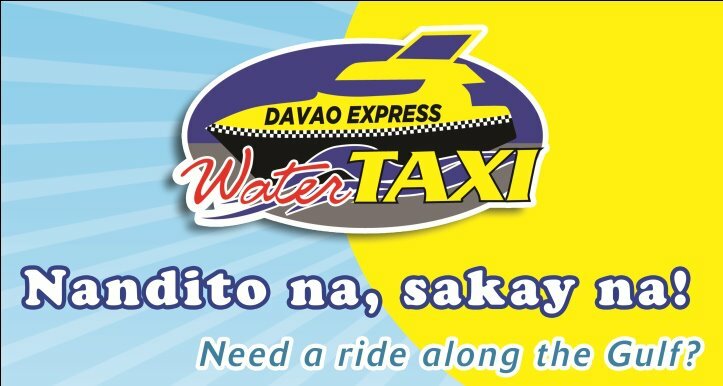 Davao never really runs out of great ideas, that is why the city is indeed very progressive, solely due to the city government's benevolent leadership and, equally of course, the Dabawenyos who support it wholeheartedly and, therefore, reap much and enjoy the many benefits therefrom. Davao City has many trailblazing initiatives that is uniquely Davao that are copied elsewhere in the country. More on the water taxis please! Thanks!